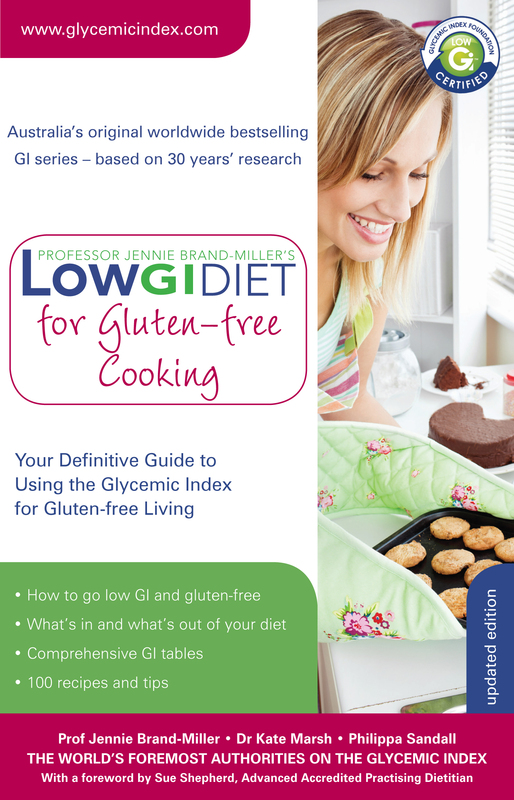 In the Low GI Diet for Gluten-Free Cooking, the best-selling Low GI Diet team explain clearly and simply how to combine the ground rules of a gluten-free diet with the lifelong health benefits of low-GI eating to enable you to live well and stay healthy. Now in it’s second edition, this gluten-free cookbook is the definitive guide to healthy living for everyone with coeliac disease, gluten intolerance, or other wheat sensitivities. While a gluten-free diet isn’t specifically recommended for women with PCOS (and actually may not be the best choice), If you have PCOS and need to follow a gluten-free diet (due to coeliac disease or non-coeliac gluten sensitivity) this book will help you to understand exactly what to eat to manage your gluten sensitivity and your PCOS. GI tables with values for popular gluten-free foods. Buy your copy in your favourite bookshop or online here.